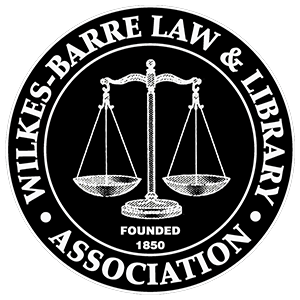 The Fee Dispute Committee is a voluntary mediation panel that hears disputes between clients and lawyer members of the Wilkes-Barre Law & Library Association regarding allegations that the lawyer over charged the client for work performed by the lawyer for that client. The fee dispute process is non-binding and is not a legally enforceable judgment. To receive an enforceable legal judgment, a client must take legal action in a court of law. Again, the Fee Dispute Committee can only give a recommendation to the lawyer and the client involved in the fee dispute. It is not a court of law. Your letter should set forth the details of the fee dispute, the amount of money that you were billed, and the reason that you believe the amount to be excessive. Your letter should contain both an address and telephone number. All complaints are deemed to be confidential by the Bar Association.